When you talk about Kenyan female singers with beautiful vocals, Juliet Ayub Miriam, alias Jovial, can’t fail to feature in the list. She has a soothing voice that I wouldn’t mind listening to all day, even if it’s just a casual conversation. Maybe you’ve not heard of this talented songstress who hails from Mombasa yet, maybe you’ve never listened to any of her songs but it’s about time you knew of her. Drumrolls, please. Jovial is an Afro-fusion singer whose songs have a twist of zouk. She has several songs to her name and has worked with leading artists including Jua Cali, Ben Pol. Some of her hits include Mimi Ni Wako, Kila La Heri, Unakosa Raha, just to name a few. 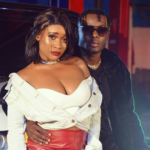 A few days ago, she released a collabo dubbed Dekeza alongside Mr Digi Digi, Arrow Bwoy and it has been getting fair airplay on local radio stations. Dekeza is a Swahili word that means ‘to persuade’. As you can already tell, maybe you can’t, this is a feel good song in which Jovial narrates how she loves to be cajoled, spoilt with good things and what not. Her delivery was top-notch and she has her smooth vocals to thank for that. As expected, Arrow Bwoy did not disappoint either. He used Swahili, Sheng, English and a bit of Patios to drive the love song home. You know what to expect when you hear that Arrow Boy has a new song, in this case expect much more. The song’s bridge is such a no brainer and it is easy to master, it goes like “Kwako sitoki nimezama sijiwezi *2“. That’s it. The video was directed by Johnson Kyallo and produced by Ihaji. Watch Dekeza below and tell us what you think. The post We can’t get enough of Arrow Bwoy’s new collabo with Jovial (Video) appeared first on Ghafla! Kenya.